I would definitely buy a stuffed Caplin ROUS! Poor lonely Caplin. Of course I would buy a plush Caplin. I would certainly buy a plush Caplin! I hope you’ll post them overseas? I’d be interested if it’s truly as cute as you! I’d be down for one or two. Like Kristy, I prefer no alien. I would definitely get one, but same as Kristy – not the alien one, I like the natural one and maybe with removable halloween custom. Are these common in the USA in the wild? My wife and I saw one on the banks of the Mississippi River just south of Saint Louis and had no idea what it was. 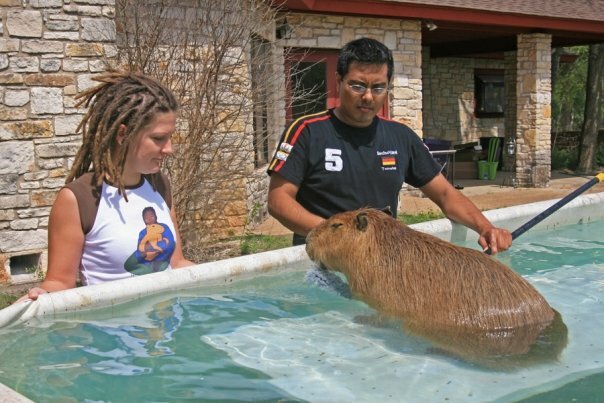 One week later we saw one at Grants Farm in St Louis and there is no doubt it was a Capybara that we saw. Thanks for any info. 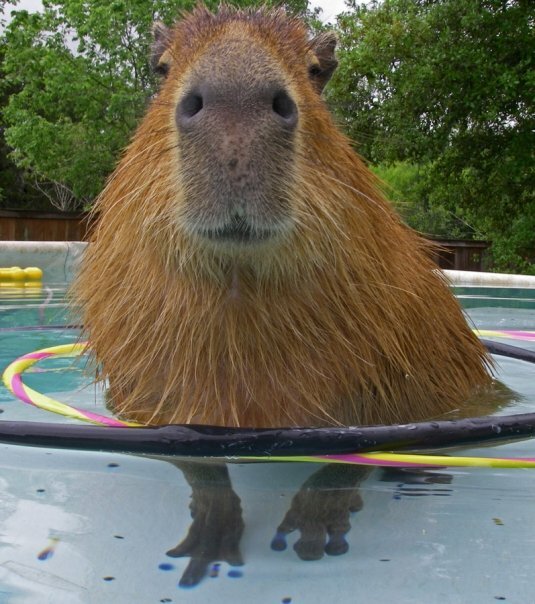 I don’t think you would see a wild capy as far north as St. Louis. It is too cold for us there. 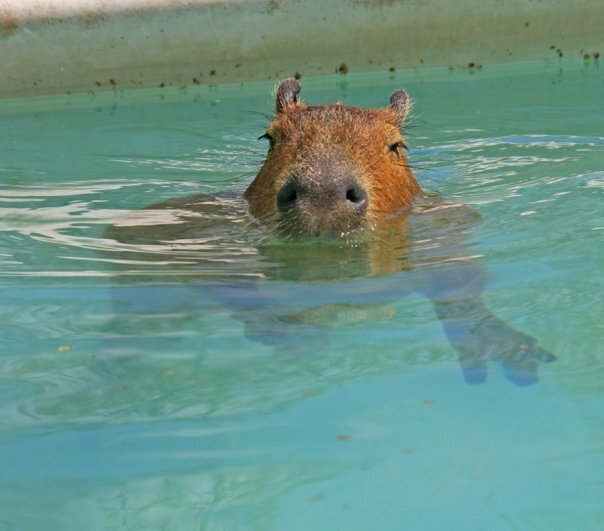 Maybe you saw a nutria? 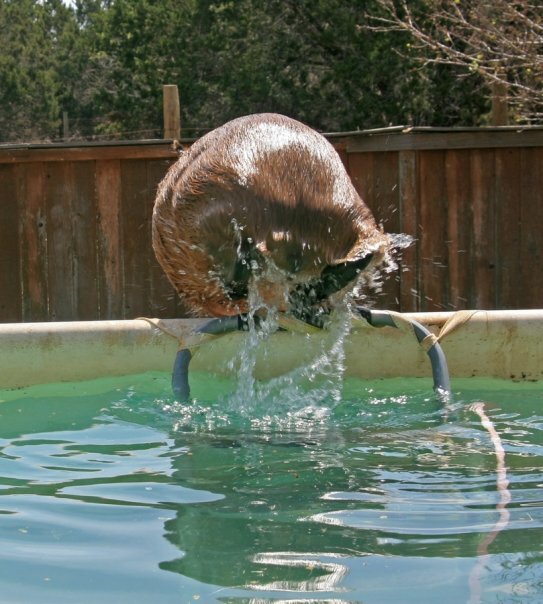 Or a beaver even. I would buy a plush Caplin! 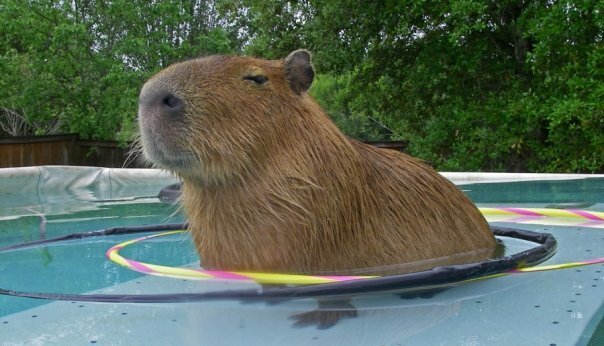 Also, I could see buying a stuffed capy or two as gifts!! I will take at least 3. I can ask my friends whether they’d like more! I would buy one – would “dressing options” come with it? Alien headdress, hula skirt (like Dobby! ),colorful bandana, you get the idea! In regards to my post on July 7th and the reply…thank you for info. What we saw on the banks of the Mississippi was not a beaver, it did not have a tail and I have seen beavers before and this was no beaver. 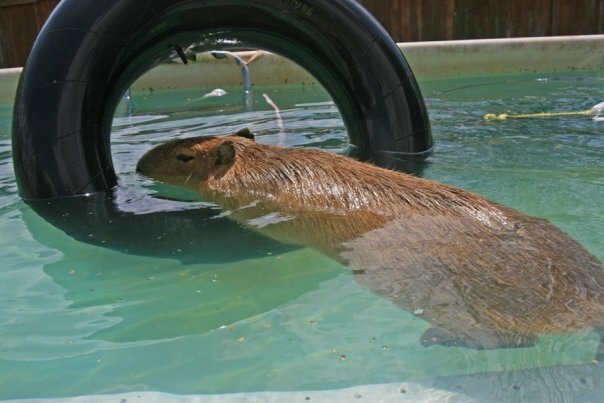 I just checked a website on Nutria’s and what we saw was much bigger than any of the pics and again, it didn’t have a tail. The weather this time of year in st louis is hot and humid…temp of 95 w/ heat index over 100 for almost two weeks. 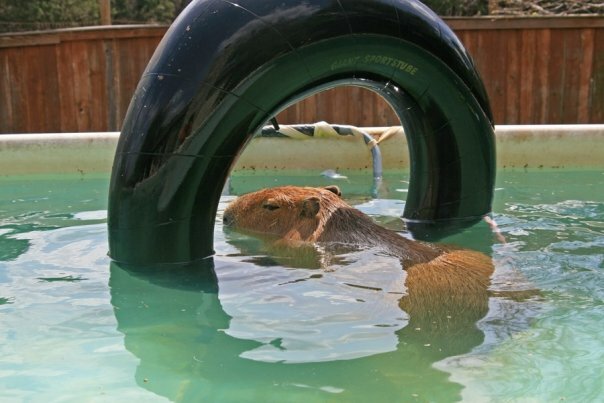 A mistory that will go unsolved…but it really looked like the capy’s we saw at Grants Farm Zoo in St Louis. This message is for David. Yes!! You did see one! I was on a bike ride by the train tracks near the outskirts of downtown St. Louis by the Mississippi. it was a very hot summer day two years ago. 2012. 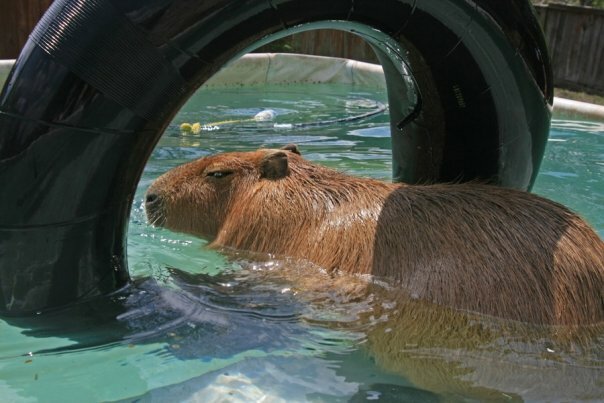 I saw two huge dog size beaver like creatures that looked so bizarre are and out of place I couldn’t believe it. They were grazing in a field. They took off after they saw us. I mostly remember their huge heads and large dense bodies. 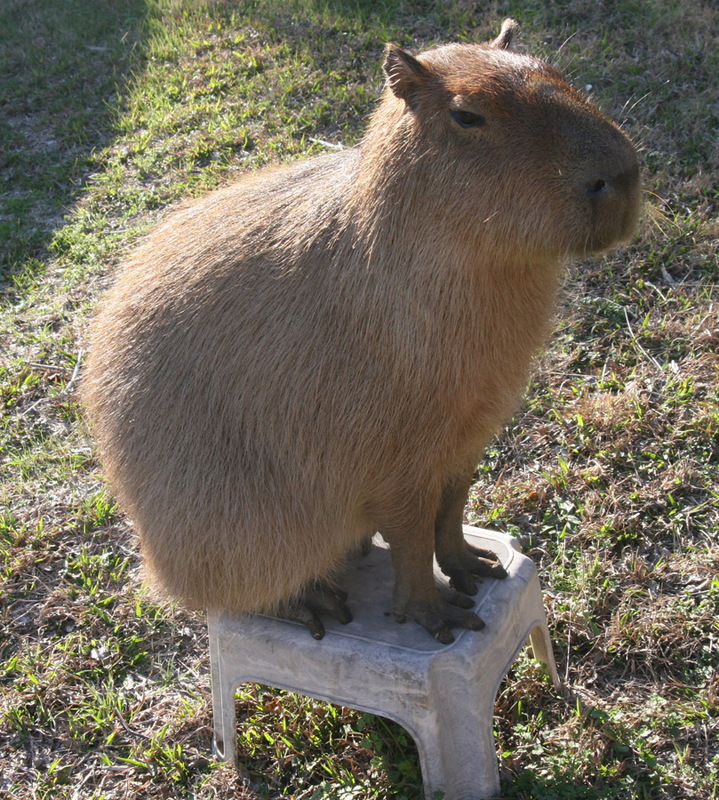 I told a southern farmer friend about it years later and he said it sounds like a capybara. When I looked them up I was shocked! That was EXACTLY the animal I saw. So I have no doubt you saw them too. It’s hard to forget such a strafe looking creature.